If you need help downloading and printing your checklist please see the video below for step by step instructions! What else would you add to the list? Let me know in the comments! You don't have to be born naturally organized to get control of your home and life once and for all. 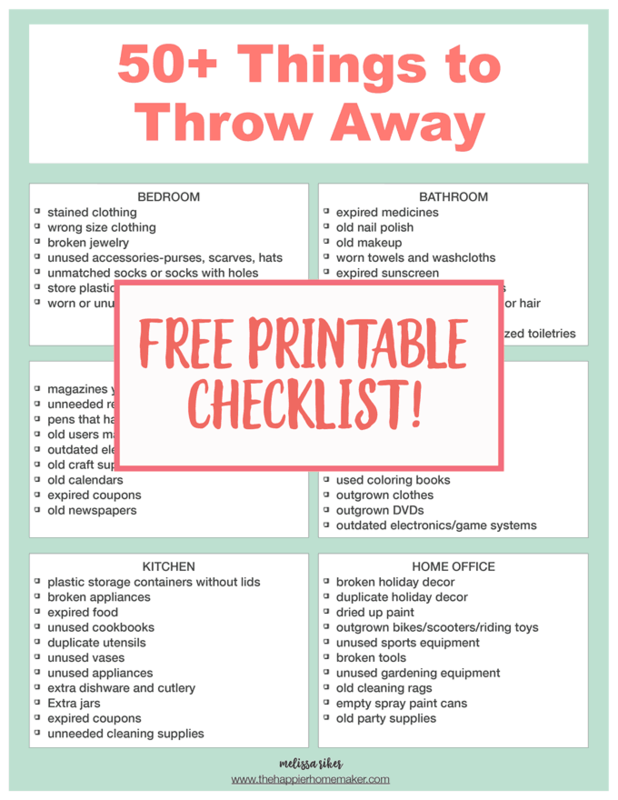 Let me share the simple habits and steps that you can easily learn to streamline your home organization, saving you time and energy. Success! Now check your email to confirm your enrollement. Some of the things on your list could be given away to needy people, not thrown in the trash. Thank you for educating me on how to de-cutter and to maintain my hope, this is great. Thanks again.